I said it in the headline. Racer X. The Stig. DEATH BATTLE RACE!!! What would the Death Battle title card look like, and—the more important question—who do you think would win? My head says Racer X, the rest of me says The Stig. Another question: given Racer X’s Shooting Star is an 8.0-liter V12, what real-life car can match it? Pagani Huayra? LaFerrari? Saleen S7 TT? Koenigsegg One:1? 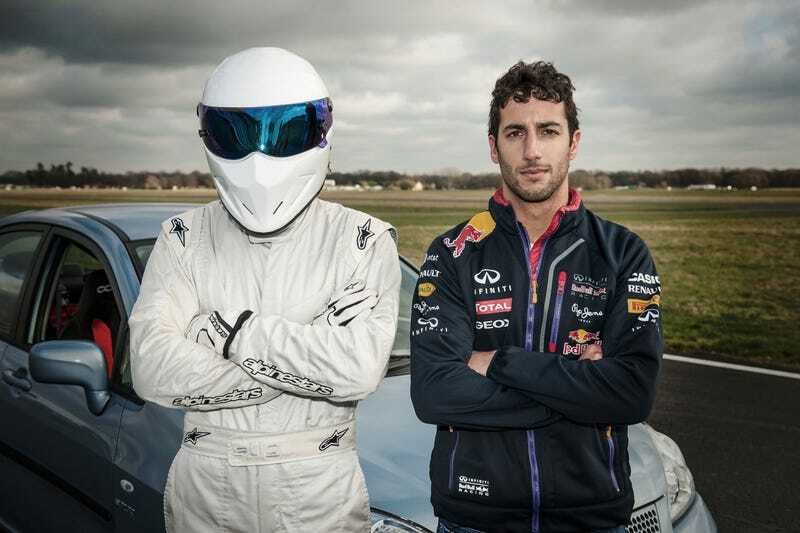 Pictured above: The Stig, and Daniel Ricciardo standing in for Racer X.